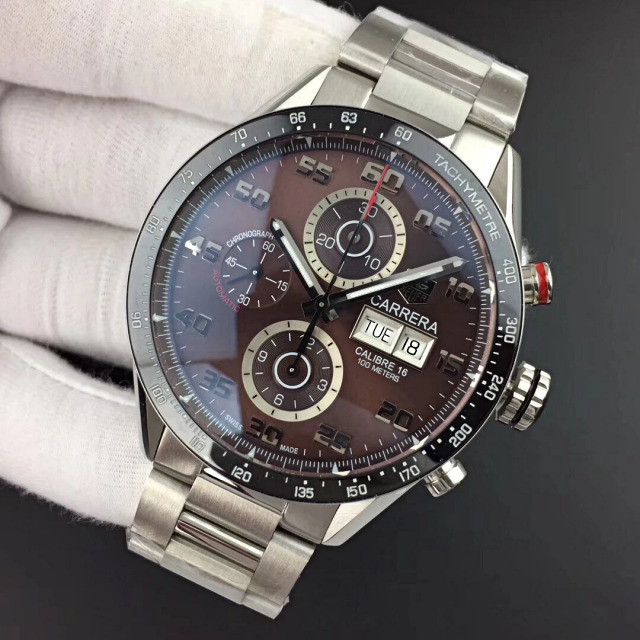 In 2019, factories in our market will publish more high quality replica watches. 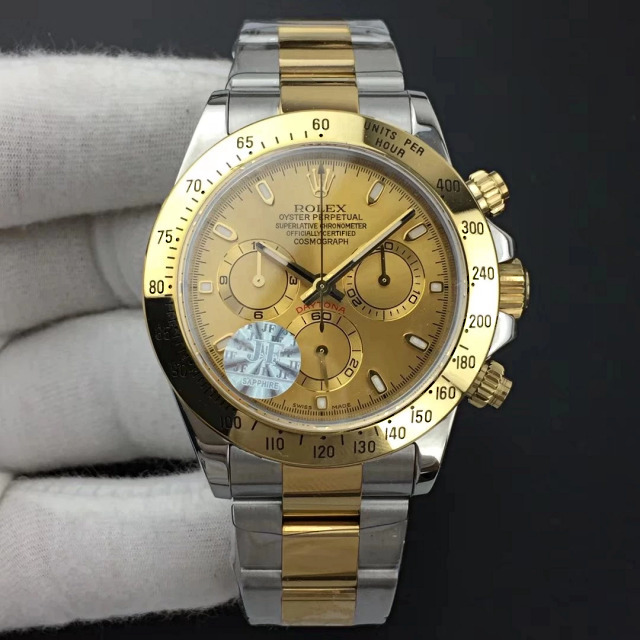 The most representative factory is ARF, which now is the only factory that could compete with Noob in replicating Rolex field. 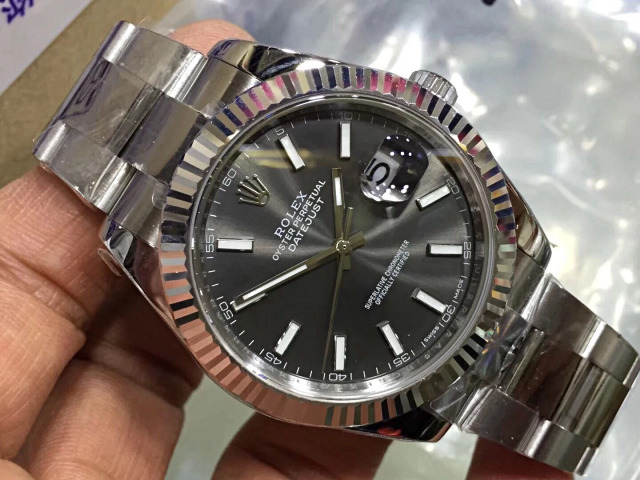 While Noob can not keep the pace with ARF, this factory now has used 904L stainless steel material in every Rolex series that include Submariner, Datejust, Day Date, etc, while Noob still only used on Submariner replicas. 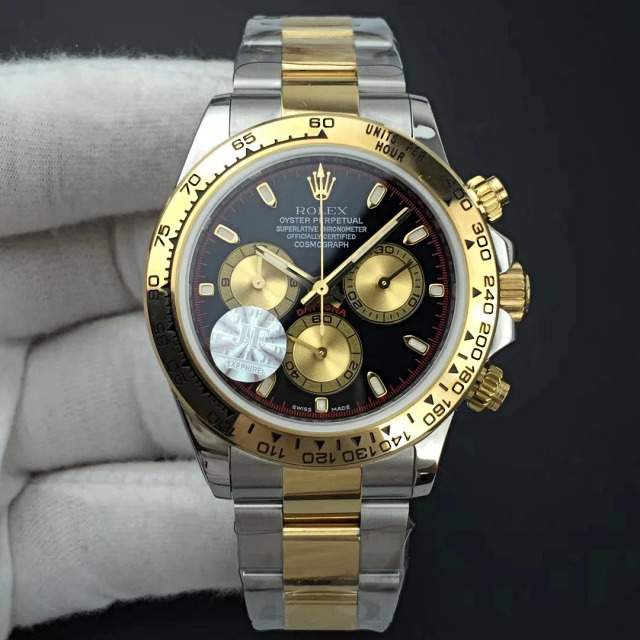 Besides, the Rolex replica watches made by AR factory all have a large amount of stocks, while Noob only makes a certain amount of stocks on most of their Rolex. So, a lot of people who were Noob watch fans have turned to be clients of ARF. 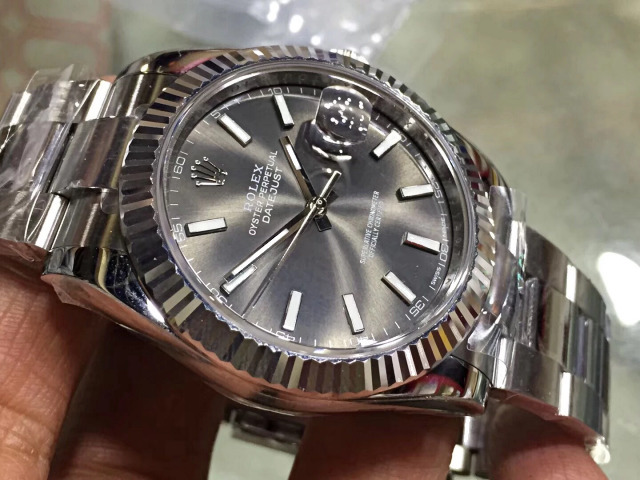 Today, I want to introduce two important Rolex watches AR factory just published several days ago, both are Datejust II models in 41mm, which is a trendy size in current watch industry. 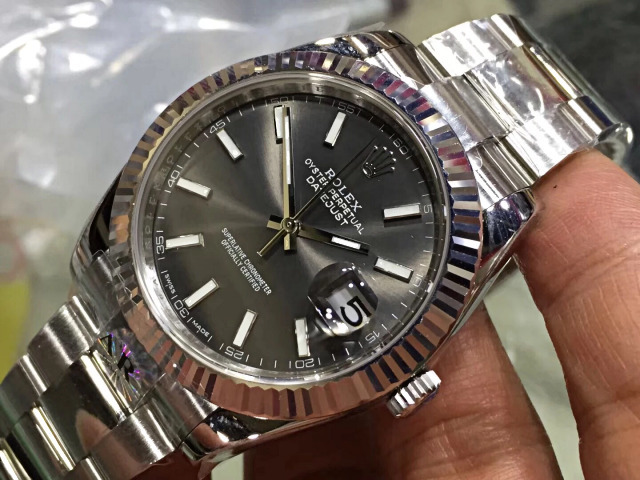 Two Datejust 2 watches have some common features, like genuine watches, the replicas are made of 904L stainless steel, and both feature a fluted bezel. 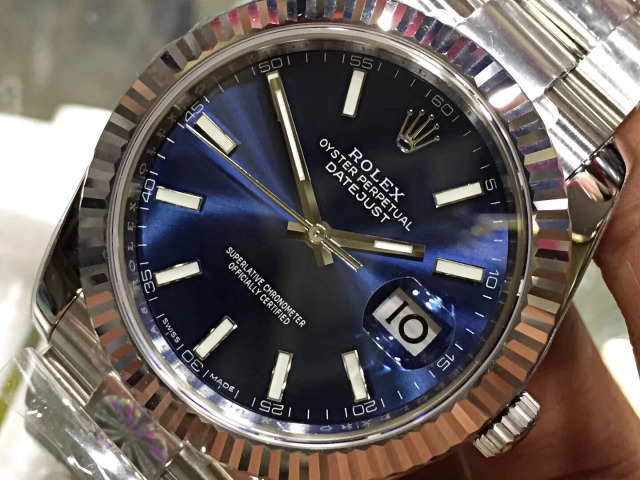 The difference is that one is with a grey dial, the other is with a blue dial. 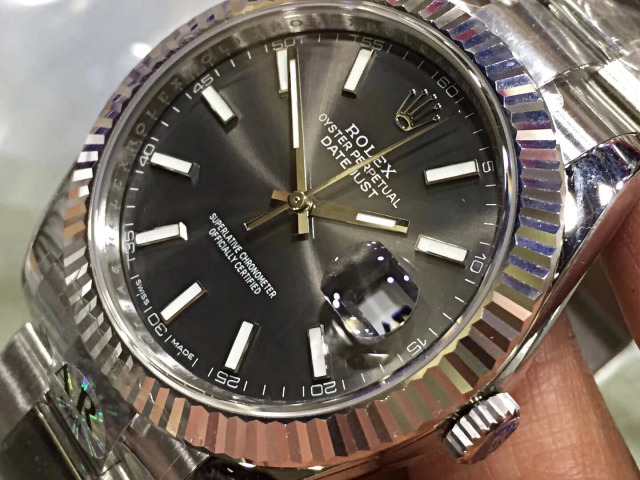 I saw both watches and took these photos below, compared two of them, I like the Datejust II with grey dial more. 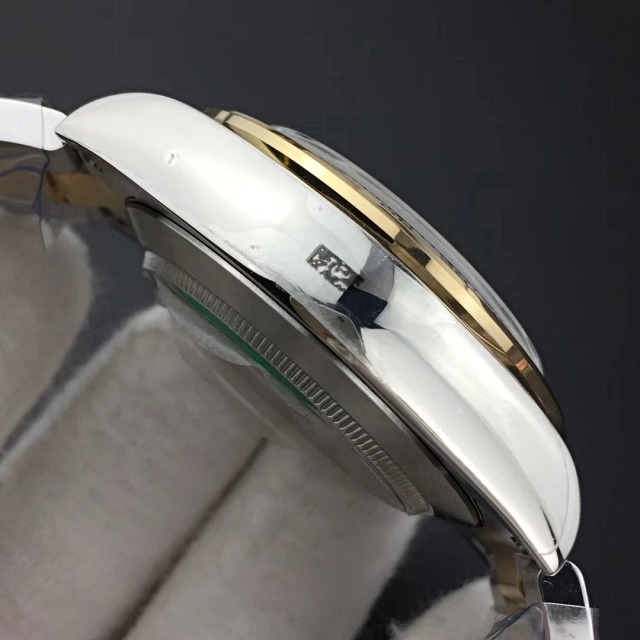 About case, both are made of the latest genuine watch material 904L stainless steel, case is brushed, while the lugs are polished. 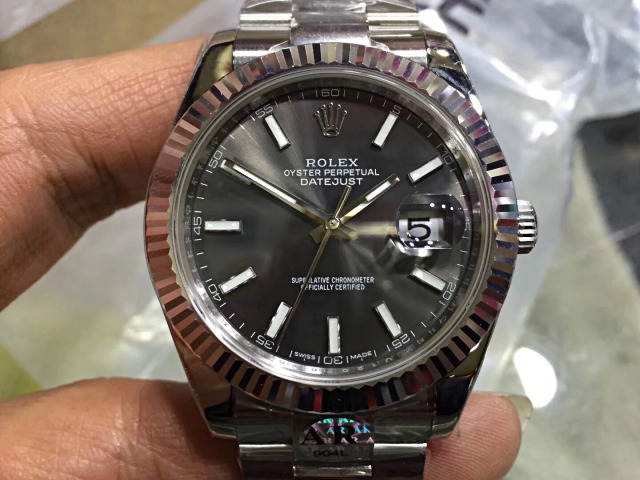 The case finish is very good, which is the same quality level of Rolex made by JF factory. 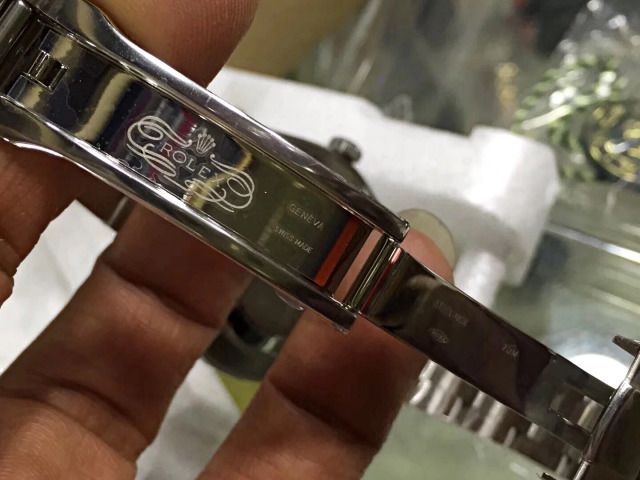 While I find one subtle flaw on the case, that is the back of lugs does not have engravings, while the replica Rolex made by Noob has. 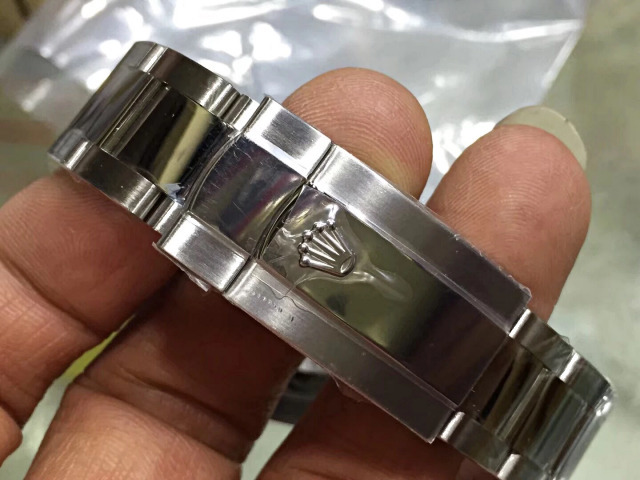 Compared replica Rolex watches between Noob and ARF, the quality of case finish of ARF is better than Noob, but if you do care about some detailed engravings, I suggest you buy from Noob. 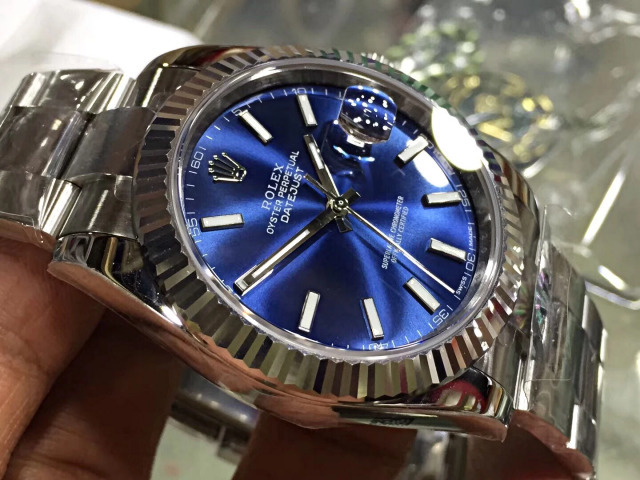 The fluted bezel is also made of 904L stainless steel, the tooth design on the bezel has the same size as that of genuine watch, the amount of bezel tooth is the same as original. The bezel fits the case body perfectly, so there is no gap for water penetration. 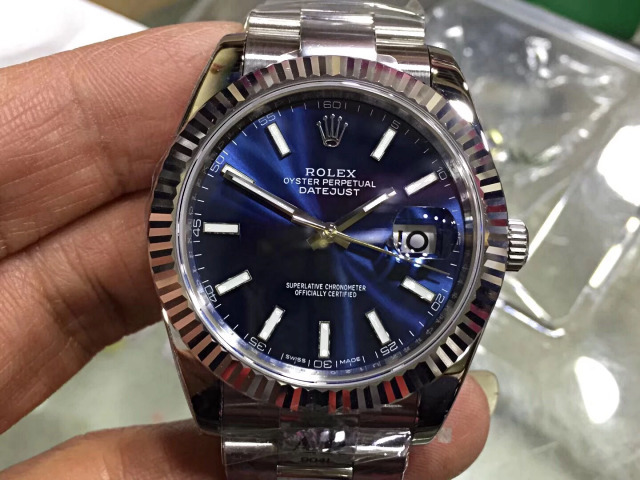 About dial, the Rolex Datejust II 126334 replica has two options, grey and blue, I prefer the grey one, which looks more low-key, while the blue one looks more elegant. 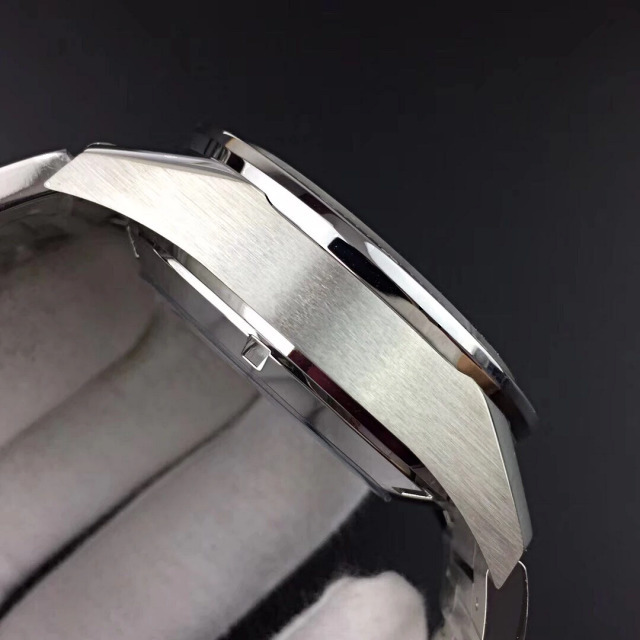 The grey dial matches the white stainless steel appearance better, the unique sunray polishing on the grey dial looks more obvious, I like such sunray polishing on the dial, it looks high quality. 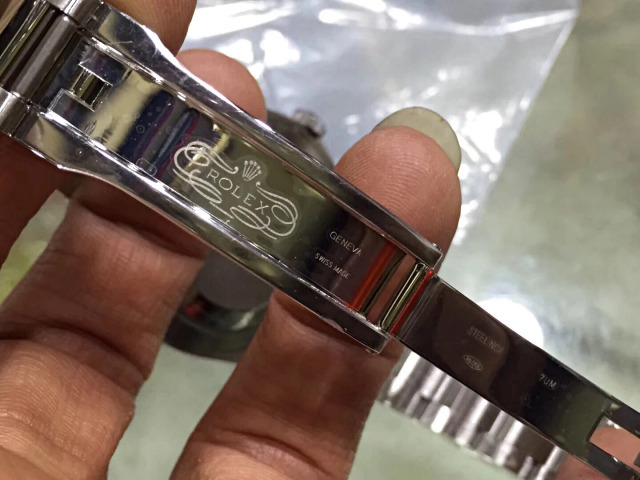 The inner bezel has Rolex’s famous rehaut engravings, which look exactly the same as genuine Rolex. 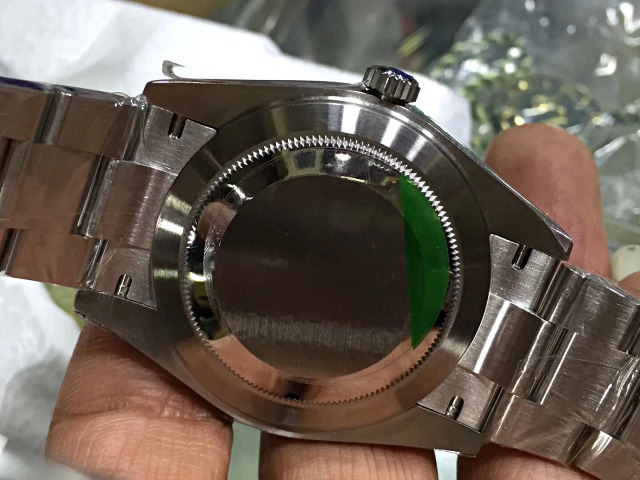 Those bar-shaped hour markers, hour and minute hands are applied with Swiss lume material, the green lume light emiting from the dial will be strong and long lasting. 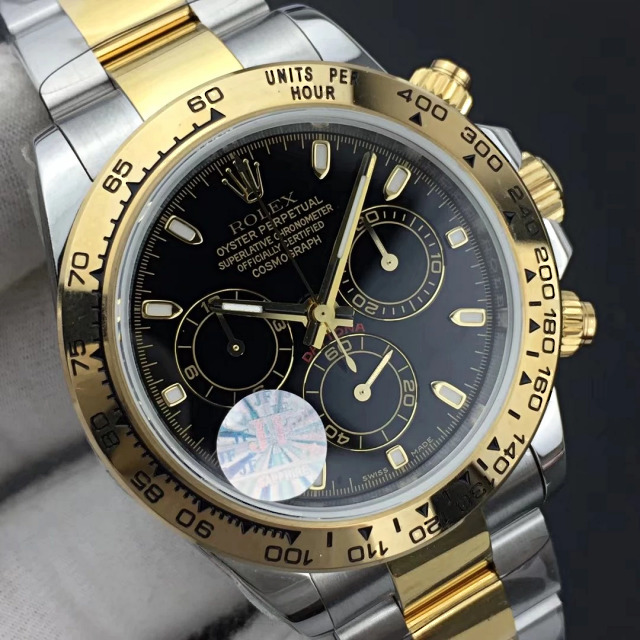 Look carefully at the hour and minute hands, they are not flat, both have several cutting faces, now almost all high quality 1:1 Swiss replica Rolex watches from big factories like Noob and ARF will focus on such details, this is also one of the reason why their replicas are sold at higher prices than others. 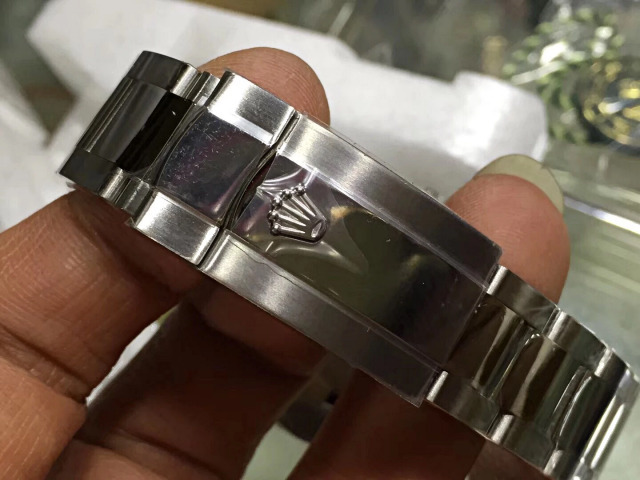 Whether in material or finish, the bracelet of the replica watch has the same quality level as genuine Rolex watch. 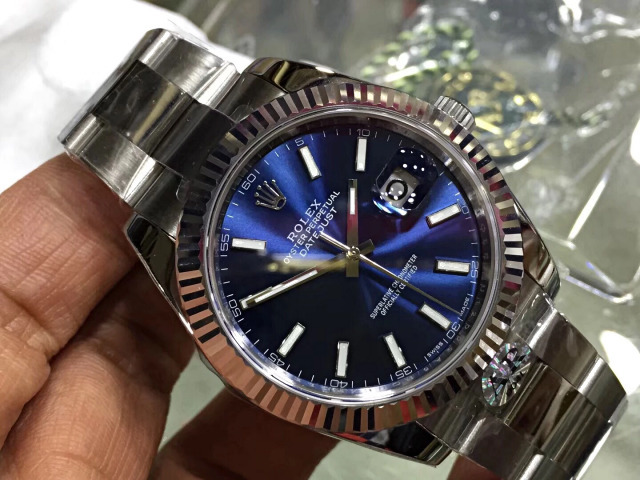 Especially the finish, it look much better than Noob’s Rolex. Check the gap between each link, there is no difference with genuine. 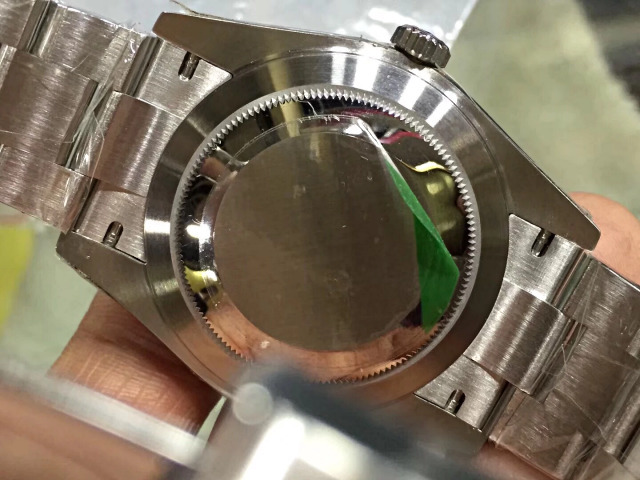 The two ends of bracelet are also tightly connected with the case, which will not be easily broken. The engravings on clasp look clearer and neater than before. 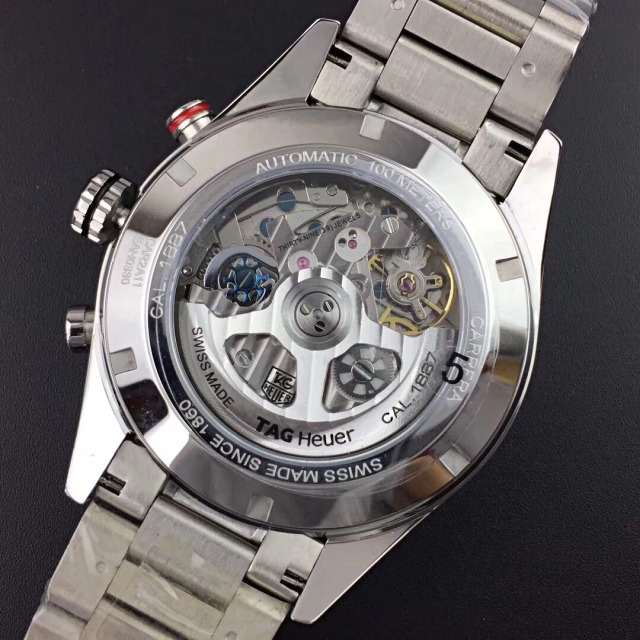 The most important is the movement, which is our most famous Asia ETA 2824-2 automatic, AR factory did not use the clone 3235 this time. 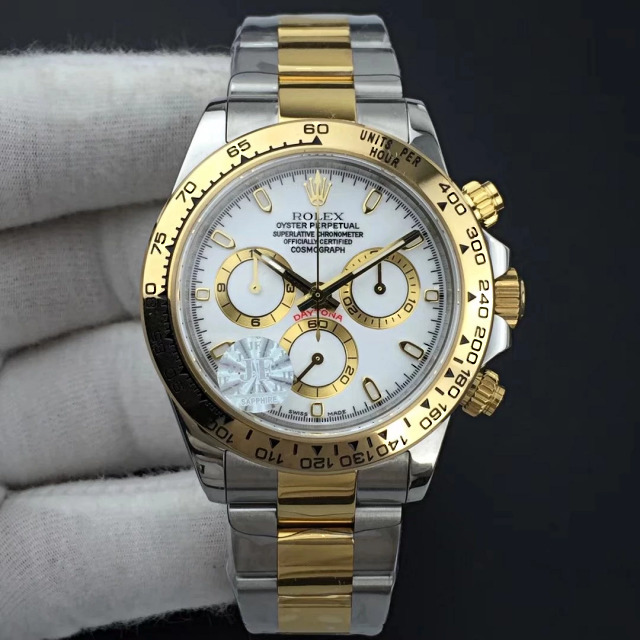 This is not a pity, on the other hand, the replica with Asia ETA 2824-2 has been tested to be more accurate and reliable than the replica with clone 3235. There are a lot of photos shared below. Happy Chinese New Year to you all ! Now, I was just back from the holiday. 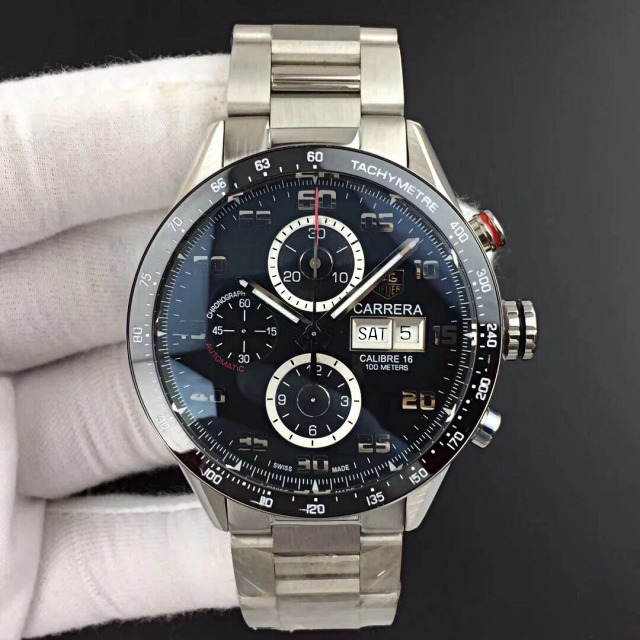 Actually the whole February is our Chinese New Year holiday, but too many people have asked me to help them to find watches, so I came back earlier. 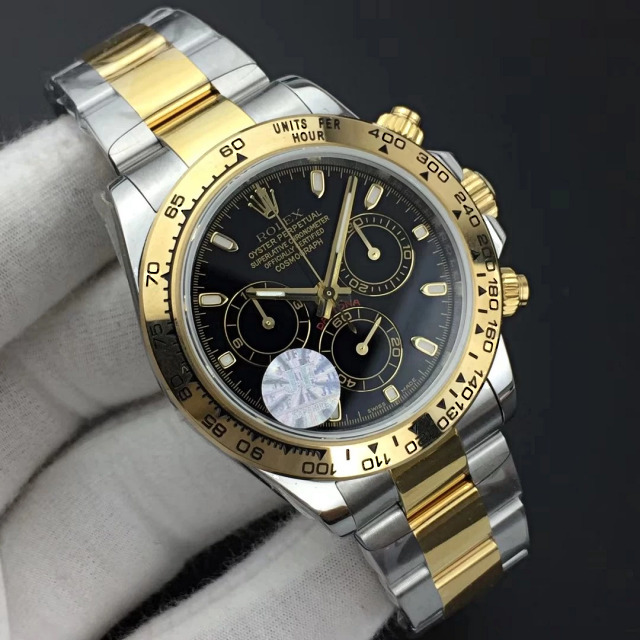 We love watches and and always followed the latest news from the market, 2018 is really a great year for the replica watch industry, it is brilliant. 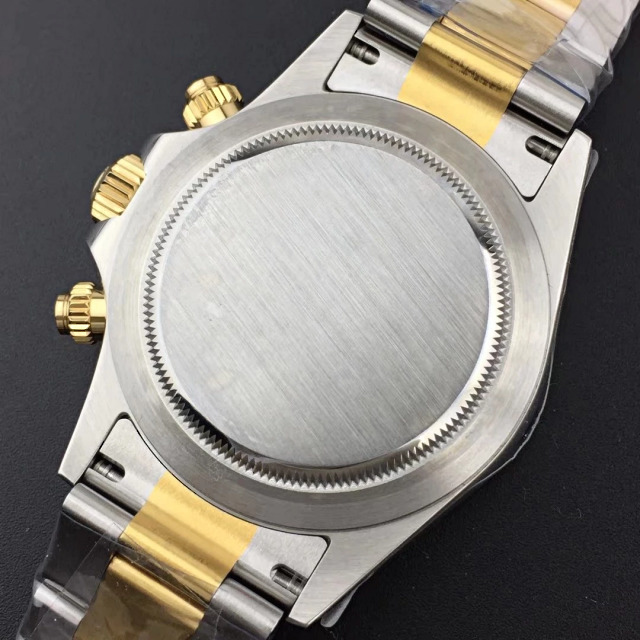 Not only a lot of amazing watches were released in 2018, but also these factories are more willing to use genuine watch material on their replica watches, they also spent a lot of money and great effort to develop movements that look closer to genuine calibre. 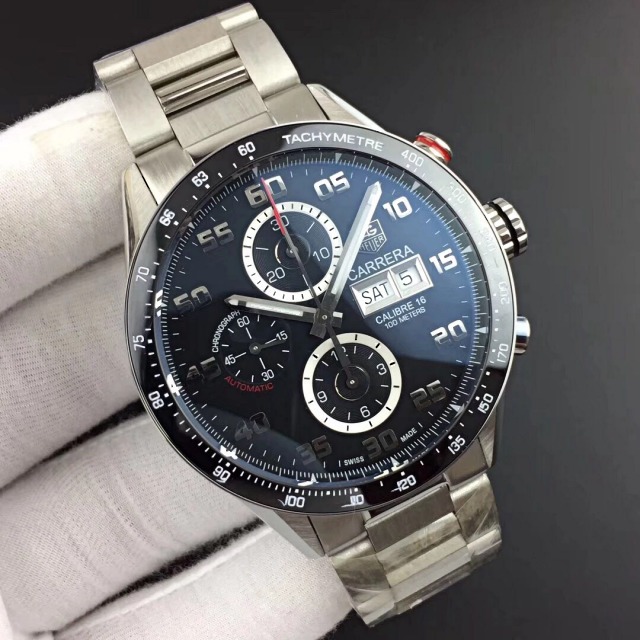 Now, the competition between these watch manufacturers is getting more and more intense. 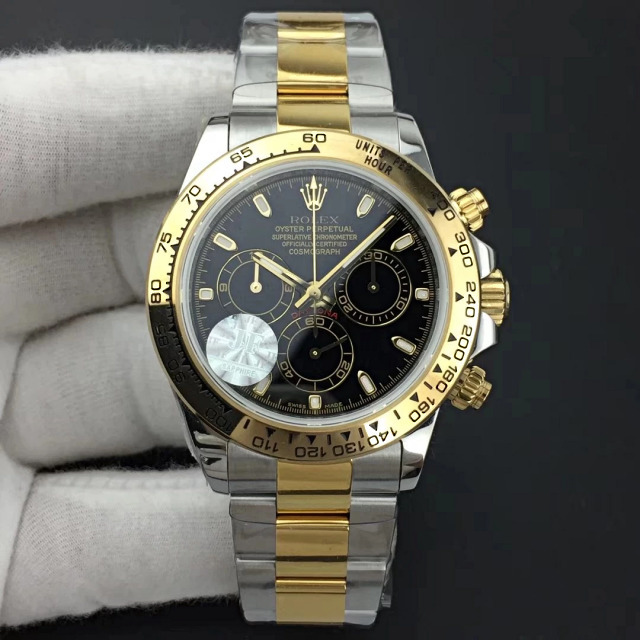 We are still expecting that there will be more good quality replica watches published in 2019. 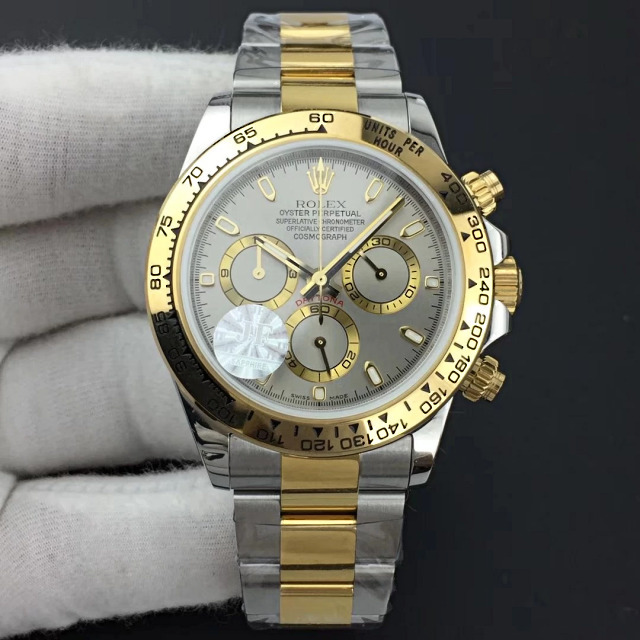 Each Swiss brand is replicated by different factory, we know that each factory is good at cloning the watches of a certain Swiss brand, for example, JF makes the best AP replicas, Noob makes the best Rolex replicas. 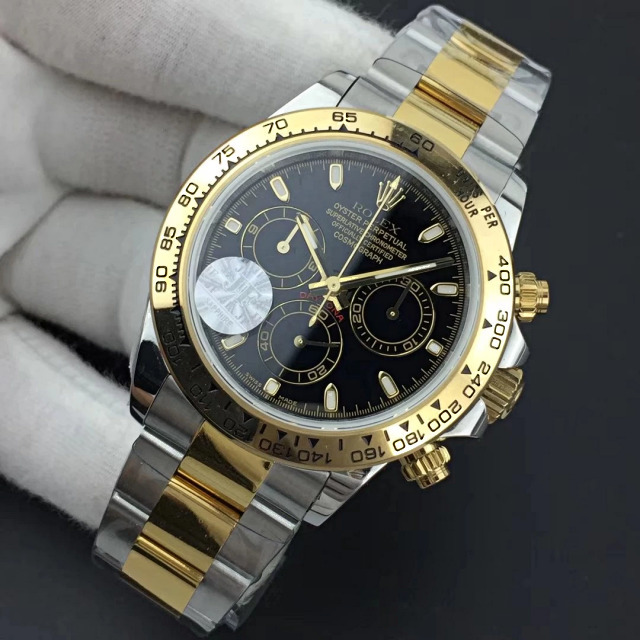 From today, I can get watches for you from the factory, on February 9th, one client from Italy ordered six pieces of Daytona from me, I told him I was on holiday and could not get him the watches immediately, but he still trusted me and paid the money via Western Union, really thank you. 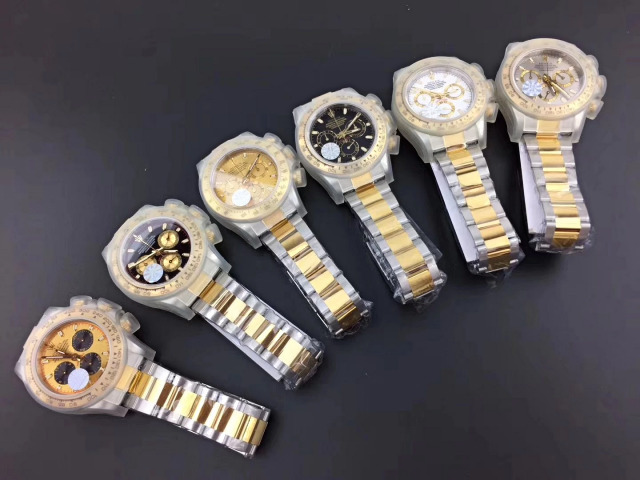 Yesterday, I went to the market and got these six watches from J12 factory, now the watches have been tested for one night, they all worked very well, and I will test them for another day before shipping. Here come some actual photos I took for you, James, really thanks for your big order. 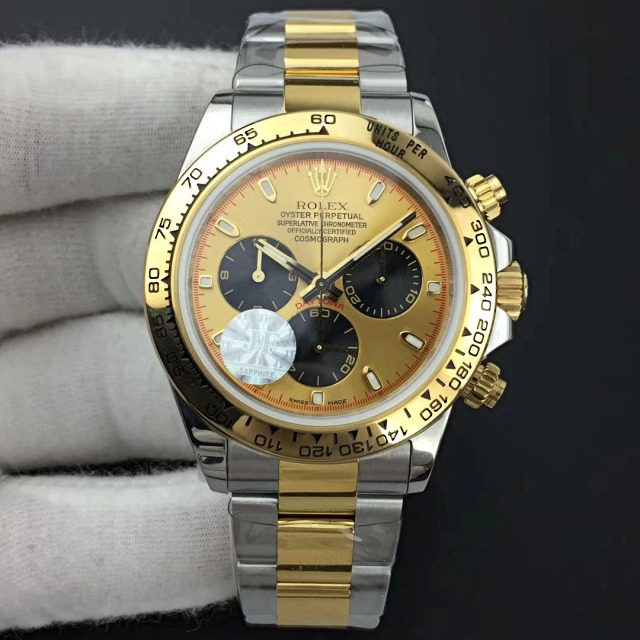 As I promised, three original Rolex boxes with cards will also be sent to you for free. 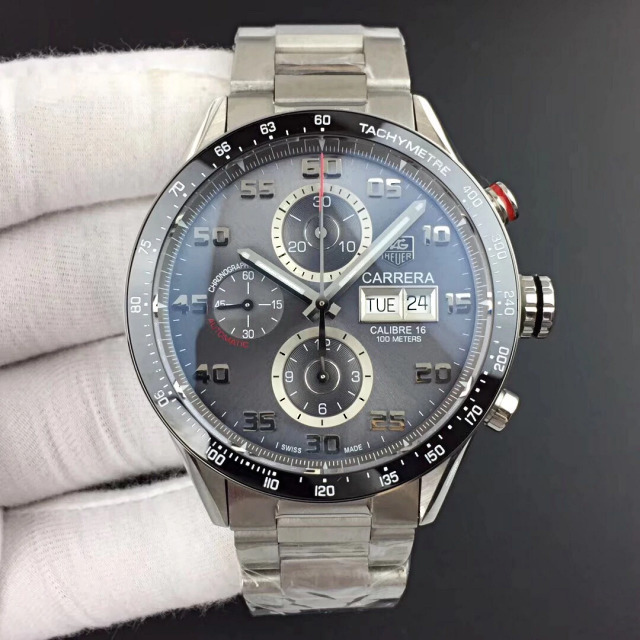 Just in the beginning of 2019, there are a lot of good quality replica Omega watches having been published in our market. Most of them are made by two factories, VS and OM. 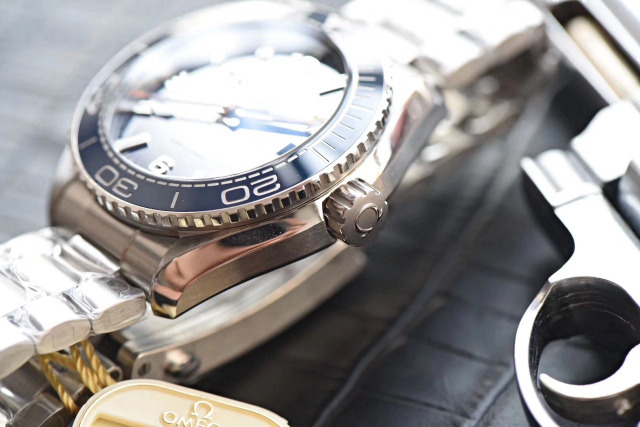 After Basel exhibition, I believe that there will be more amazing Omega models replicated in our market. 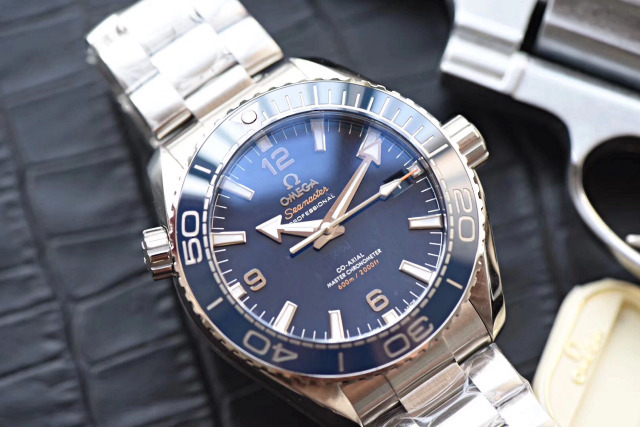 Omega Planet Ocean is a popular diver’s watch, in the past, only Noob and V6 factories made good quality replicas of Omega Planet Ocean, now, the ones made by OM factory are also in high quality. 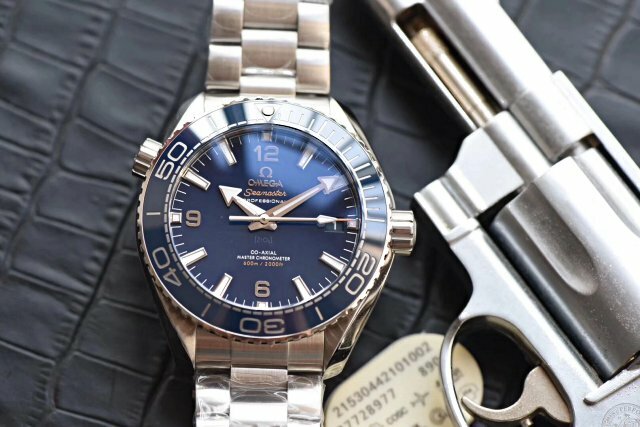 Today, the replica Omega Planet Ocean 600m I am going to introduce is exactly made by OM factory. 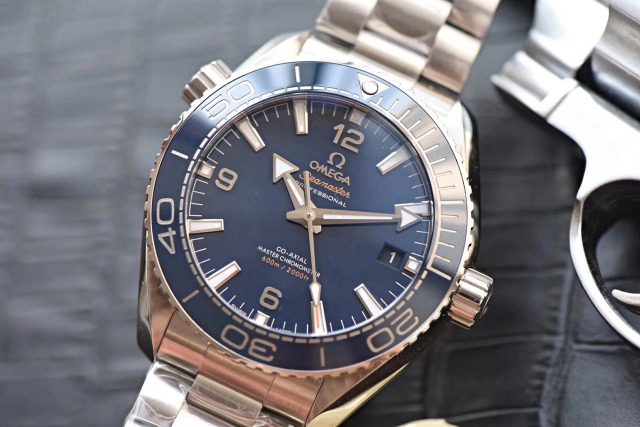 The replica watch is a classic diving model, it has all necessary features to be a diver’s watch, besides, the blue dial and blue bezel reflect its ocean theme of Planet Ocean. 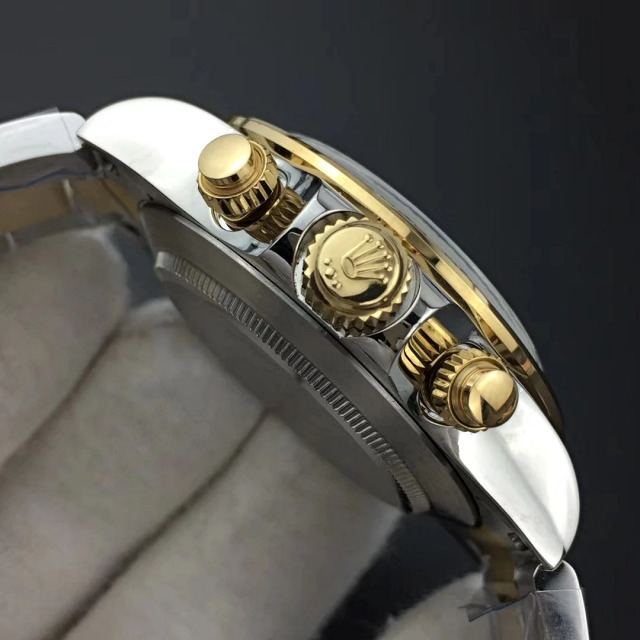 The case is very big, its diameter is up to 43.5mm, even larger than the case of Rolex Submariner. 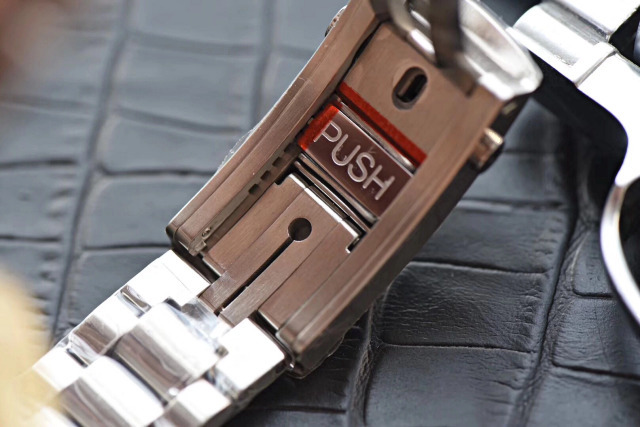 The case is fully made of 316L stainless steel and brushed, the brushing finish on the case is evenly applied. 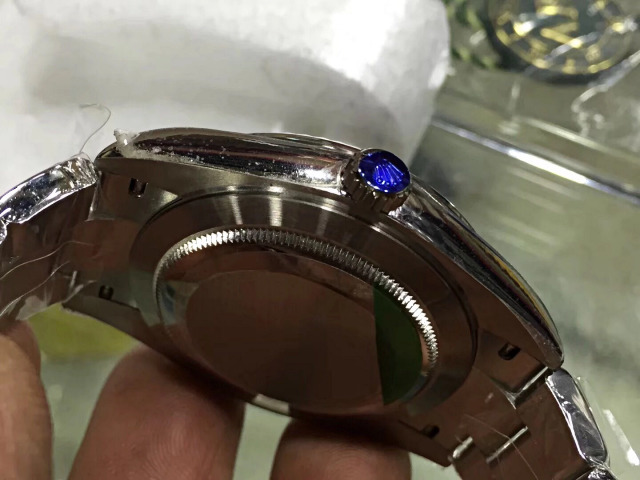 Case finish is done according to the that of genuine watch, each corner of the case is processed so well that you won’t have any scratch feeling when wearing the watch on wrist. 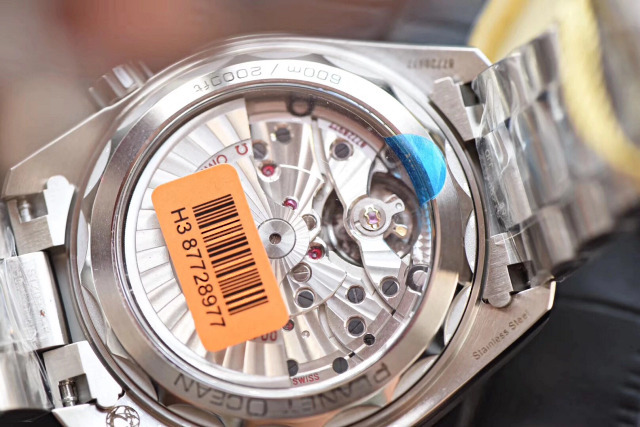 Measure the case from any angle, you will find it has the same profile as genuine, because the replica is completely manufactured according to a genuine watch. 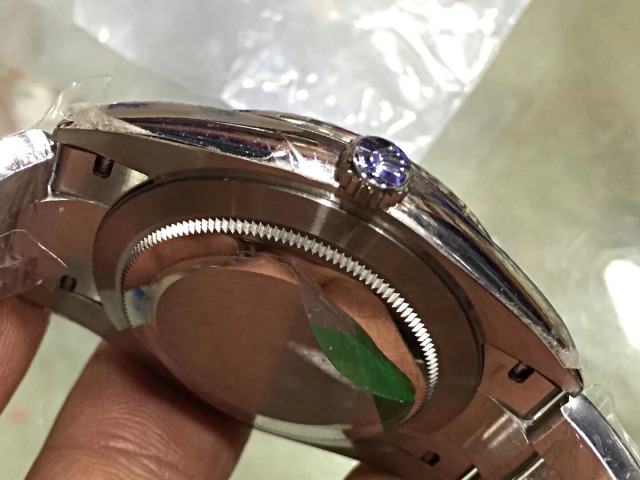 OM factory watch master disassembles the case and researched each part. 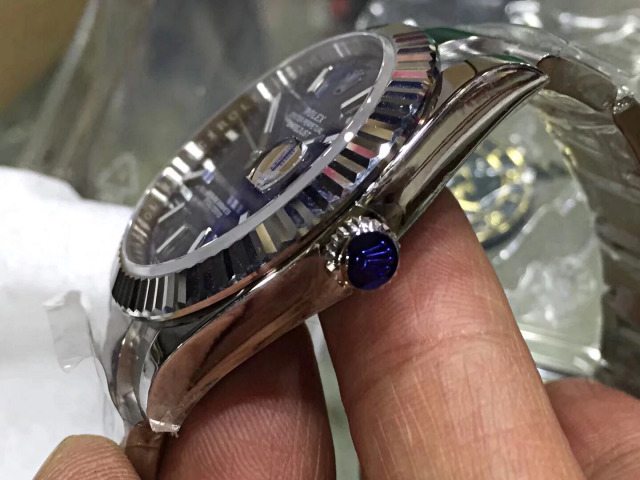 The bezel is uni-directional and it is made of high grade blue ceramic. The round pearl has a silver edge and is fully filled with white luminescence, the lume pearl will emit a strong green light in the dark. 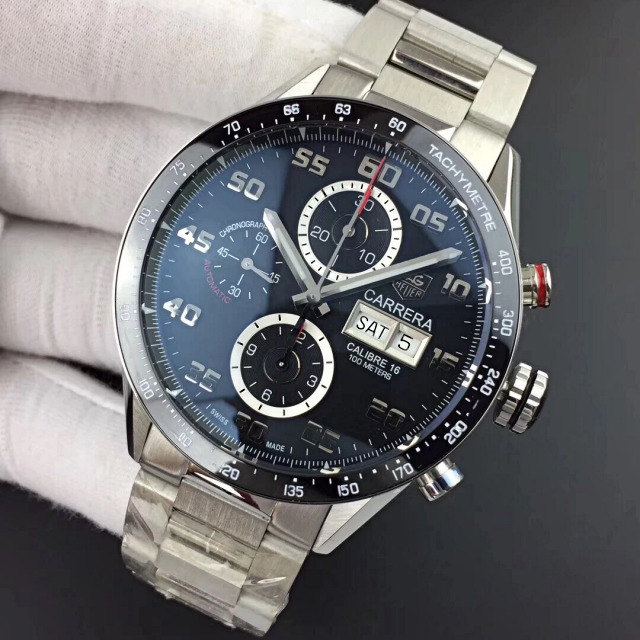 Dial is blue, silver hour markers and hands have wide design, the dial has a high readability, markers and hands are all applied with white luminescence. Central second hand has an orange tip, which is eye-catching. 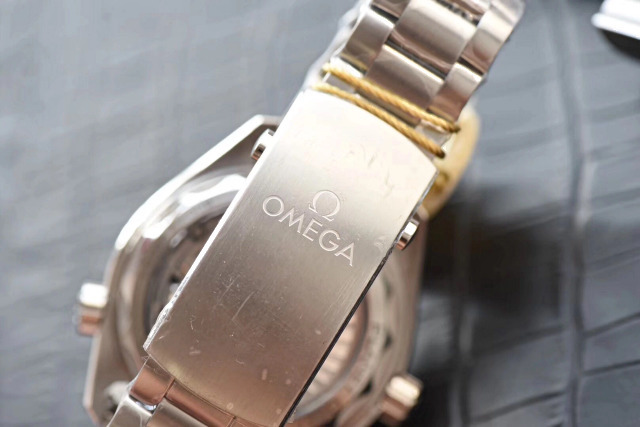 Ω logo and “OMEGA” below 12 marker are three-dimensional and are in silver tone. 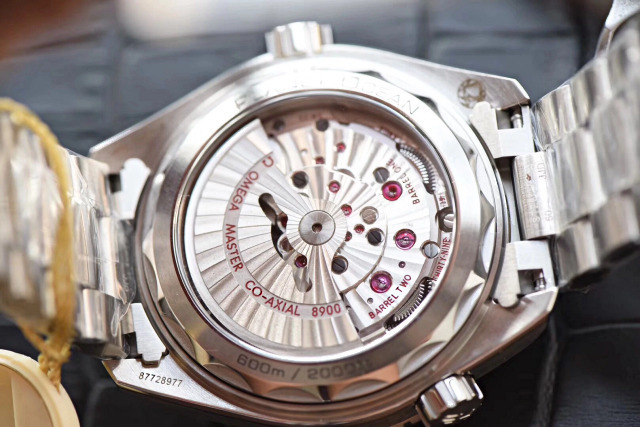 The dial plate uses the same material as genuine watch dial, matte texture of the dial makes it look high grade. The date window opened at 3 o’clock is small, date font is white and has the same thickness as genuine. Look at the date window carefully, the inner frame makes it look more three-dimensional. 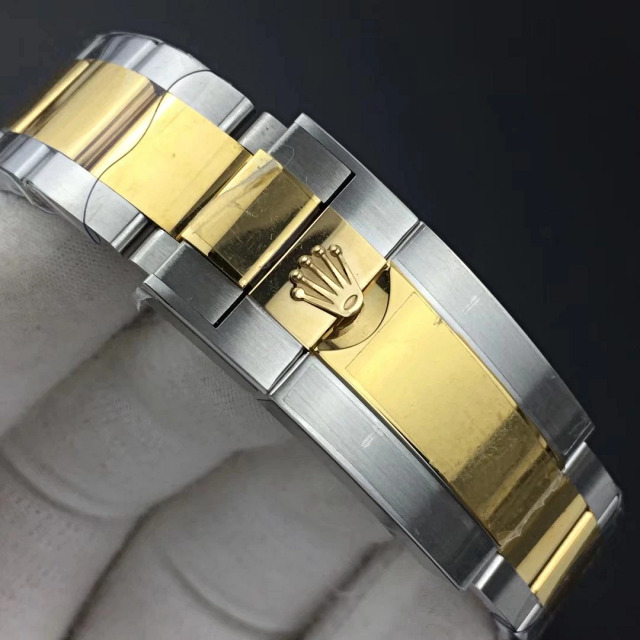 The bracelet is made of solid 316L stainless steel, it is fully brushed and has a very close weight to original. 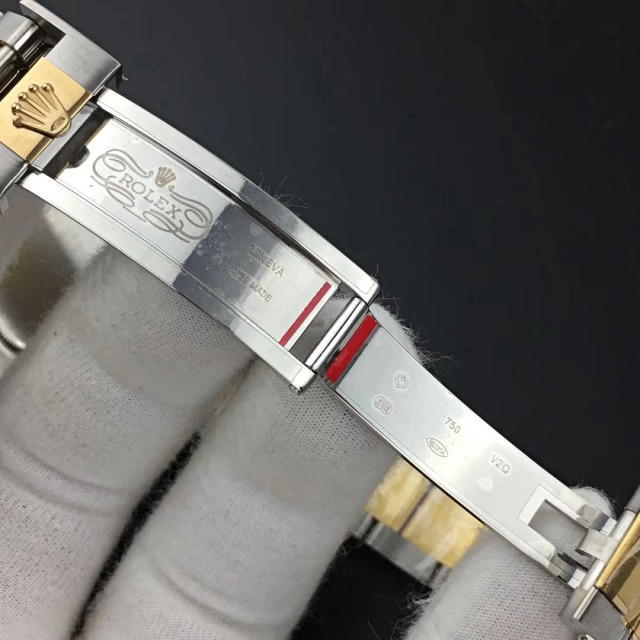 This type of bracelet is the one I like most, every link of the bracelet is processed round and full, the finish on the case and bracelet lets us witness the big progress replica watch industry has made.